We’re headquartered in Burlington County in the heart of South Jersey, we are a true South Jersey Web Design Company. Take a look at our portfolio and you’ll see a majority of the companies shown are in the South Jersey area, from Burlington County to Cape May, including Gloucester County and Camden County. We’re headquartered in Salem County in the heart of South Jersey, we are a true South Jersey Website Design Company. Take a look at our portfolio and you’ll see a majority of the companies shown are in the South Jersey area, from Burlington County to Cape May, including Gloucester County and Camden County. At Market3, we combine award winning, custom website design with the latest web marketing techniques to help your business stand out from the competition. 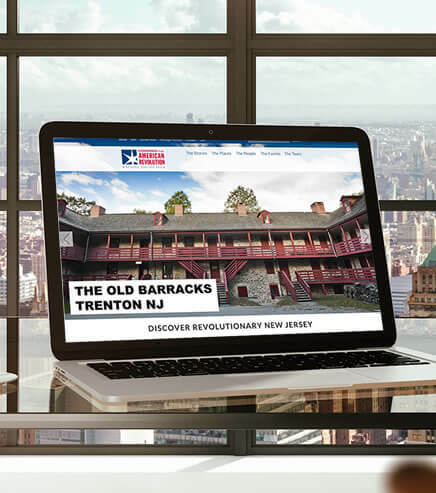 We have designed hundreds of successful South Jersey web design sites for clients all over South Jersey and the Philly Region for all sorts of businesses and non-profits. Many of our sites have even won international design awards. WordPress powered websites are the most common websites in the world. Because of this hackers spend a lot of time trying to break through the defenses. If you don’t keep your WordPress site up to date with the latest versions and security measures you make their job much easier. Our team members are specially trained to keep your site secure and safe. For the best and most reliable South Jersey web site design with quality service in South Jersey call Market3 Works web site design today at 856-881-7650. In the meantime, please view our nj web design portfolio. We are sure you will be impressed. Our staff, including South Jersey web designers, web site developers, web site programmers and web site graphic designers, is ready and waiting to assist you with any and all of your web site design inquiries in South Jersey. Our experience and talent with South Jersey, NJ web design , as well as Search Engine Optimization lets us create you a powerful, high-impact site that brings you qualified, targeted traffic and help you r business grow. Call Today at 856-881-7650 to have Market3 Works build you a South Jersey, New Jersey website. At Market3 Works, not only can we produce a South Jersey web site, but we can also provide the following services: South Jersey Search Engine Placement, Pay-Per-Click Advertising, Marketing Consultation, Managed Email Marketing, Site Activity Reports, e-Commerce and Award Winning Web Hosting. Market3 Works also maintains sites to maximize the quality of the user experience as well as the Return on Investment of our client. Our number one goal is to help your South Jersey business grow. You can rely on our experience and talent in South Jersey, NJ web design to enable you to rise above the competition. Having the most delightful site doesn’t make a difference in the event that you can’t keep it redesigned with updated data. Nothing will harm a business’ first impression faster than a site with wrong, old data, offers and content. The same is true for unreliable hosting. What’s the point of investing in a first-class website if you’re going to host it on a slow, low-cost server with spotty reliability? We offer professional support services whether or not we designed your website. While we are best known for our high-impact designs, we offer a wide range of Internet based marketing services far beyond just making ‘pretty websites’. From Social Media to Managed Email Marketing, Pay-Per-Click to Reputation Management, all our Internet services have one common goal: bring you more business! Over 12 years of experience working with corporate, non-profit and small business clients. Market3 is a South Jersey Web Design Company specializing in mobile website design, custom web design, ecommerce website design. We also offer powerful online marketing solutions such as Search Engine Optimization (SEO) and Social Media Marketing that attract your target audience, and bring more site visitors. (excerpt from Wikipedea) South Jersey comprises the southern portions of the U.S. state of New Jersey between the lower Delaware River and theAtlantic Ocean. The designation is a colloquial one, reflecting not only geographical but perceived cultural differences from the northern part of the state, with no official definition. South Jersey Gas – Market3 is the official web design company for South Jersey’s own natural Gas utility company. South Jersey Craigslist – craigslist provides local classifieds and forums for jobs, housing, for sale, personals, services, local community, and events. SouthJersey.com – A closer look at South Jersey’s best golf courses. As the spring season approaches and folks across South Jersey dig out their clubs for a round of golf, we once . South Jersey on NJ.com – Breaking news from Atlantic, Burlington, Camden, Cape May, Cumberland, Gloucester and Salem counties on NJ.com.